And you shall make a menorah of pure gold: of beaten work shall the menorah be made: his shaft, and his branches, his bowls, his knops, and his flowers, shall be of the same. 32 And six branches shall come out of the sides of it; three branches of the menorah out of the one side, and three branches of the menorah out of the other side: 33 Three bowls made like unto almonds, with a knop and a flower in one branch; and three bowls made like almonds in the other branch, with a knop and a flower: so in the six branches that come out of the menorah. 34 And in the menorah shall be four bowls made like unto almonds, with their knops and their flowers. 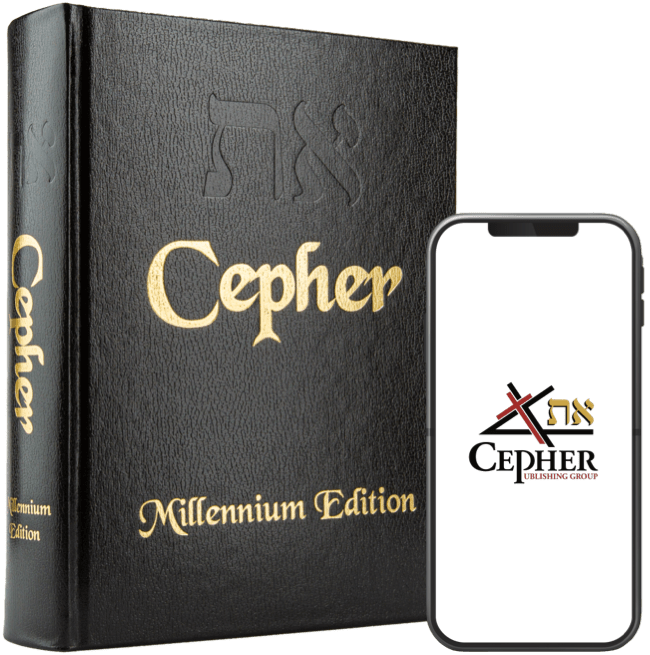 35 And there shall be a knop under two branches of the same, and a knop under two branches of the same, and a knop under two branches of the same, according to the six branches that proceed out of the menorah. 36 Their knops and their branches shall be of the same: all it shall be one beaten work of pure gold. 37 And you shall makeאת eth-the seven lamps thereof: and they shall light את eth-the lamps thereof, that they may give light over against it. 38 And the tongs thereof, and the snuff dishes thereof, shall be of pure gold. 39 Of a talent of pure gold shall he make it, את eth with all these vessels. 40 And look that you make them after their pattern, which was showed you in the Mount. Here appears this very interesting candelabra called the menorah, an artifact directly instructed by YAH to be crafted. This menorah is not an idol or image of something otherwise prohibited, but rather, the holder of sacred light, which reveals so much. We will consider many of these representations in this blog, hopefully, which will be revealing of the sevenfold doctrine of his whole creation. This post, however, is about the branch. The word used in this passage to describe the branches of the menorah is the word קָנֶה qaneh, which means stem, reed or branch. This word, while helpful in describing our menorah, is not the word we are seeking here. Hear now, O Yahusha the high priest, you, and your fellows that sit before you: for they are men wondered at: for, behold, I will bring forth את eth-my servant the BRANCH (צֶ֫מַח tsemach). 9 For behold the stone that I have laid before Yahusha; upon one stone shall be seven eyes: behold, I will engrave the graving thereof, says YAHUAH TSEVA’OT, and I will remove את eth-the iniquity of that land in one day. 10 In that day, says YAHUAH TSEVA’OT, shall ye call every man his neighbour under the vine and under the fig tree. 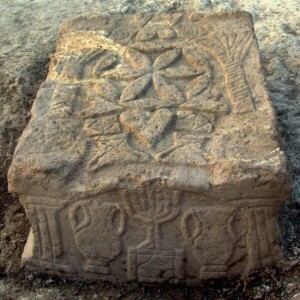 I find this stone to be particularly interesting, in that is sets forth both a menorah and the seed of life (center, top). This seed of life depicts seven spheres conjoined, with only the center circle being displayed (and the crossings of the other circles within). This symbol – the seed of life – may be the depiction of the engraving of the seven eyes. Here, in Zakaryahu 3, we have the reference to the tsemach – the BRANCH – which is called YAHUAH’s servant. Although iniquity will be removed in one day, the work that the servant will do, however, is not described until we arrive at Zakaryahu 6. חמַצֶ tsemach means a budding branch. Strong's 6780. And the Word of YAHUAH came unto me, saying, 10 Take of them of the captivity, even of Chelday, of Toviyahu, and of Yeda`yah, which are come from Babel, and come you the same day, and go into the house of Yo’shiyahu the son of Tsephanyahu; 11 Then take silver and gold, and make crowns, and set them upon the head of Yahusha the son of Yahutsadaq, the high priest; 12 And speak unto him, saying, Thus speaks YAHUAH TSEVA’OT, saying, Behold the man whose name is The BRANCH (צֶ֫מַח tsemach). ; and he shall grow up out of his place, and he shall build את eth-the Temple of YAHUAH: 13 Even he shall build את eth-the Temple of YAHUAH; and he shall bear the glory, and shall sit and rule upon his throne; and he shall be a priest upon his throne: and the counsel of peace shall be between them both. 14 And the crowns shall be to Helem, and to Toviyahu, and to Yeda`yah, and to Chen the son of Tsephanyahu, for a memorial in the Temple of YAHUAH. 15 And they that are far off shall come and build in the Temple of YAHUAH, and ye shall know that YAHUAH TSEVA’OT has sent me unto you. And this shall come to pass, if ye will diligently obey the voice of YAHUAH ELOHAYKEM. Yeshayahu is the first to predict the coming of this BRANCH, and gives his lineage, yet the word used which is interpreted correctly as Branch is not tsemach, but netser and carries with it a slightly different meaning. Strong's 5342,נֵ֫צֶר netser means a shoot, a descendant or branch. But compare with Strong's 5341, נָצַרnatsar, which means to guard; i.e, watcher. Note that both are spelled identically. Your people (am) also shall be all righteous (tzadiq): they shall inherit the land forever, the branchנֵ֫צֶר of my planting, the work of my hand, that I may be glorified. Behold, the days come says YAHUAH, that I will raise unto David a righteous (tzadiq) Branch (tsemach), and a King (melech) shall reign and prosper, and shall execute judgment and justice in the earth. In those days, and at that time, will I cause the Branch (tsemach) of righteousness (tsediqah) to grow up unto David; and he shall execute judgment and righteousness in the land. I am the Vine (tsemach), ye are the Netseriym: He that abides in me, and I in him, the same brings forth much fruit: for without me ye can do nothing. 6 If a man abide not in me, he is cast forth as a branch (kippah – a palm branch), and is withered; and men gather them, and cast them into the fire, and they are burned. 7 If ye abide in me, and my words abide in you, ye shall ask what ye will, and it shall be done unto you. 8 Herein is my Father glorified, that ye bear much fruit; so shall ye be my Talmidiym. 9 As the Father has loved me, so have I loved you: continue ye in my love. 10 If ye guard my commandments, ye shall abide in my love; even as I have guarded my Father's commandments, and abide in his love. 11 These things have I spoken unto you, that my joy might remain in you, and that your joy might be full. 12 This is my commandment, That ye love one another, as I have loved you. Strong's 3712. כִּפָּה kippah, which means a leaf of a palm-tree:—branch. Lastly, then consider the words of Pilate as set forth in Yahuchanon 19:19 (1 being the number of YAH in his entirety (echad), and 9 being the finality of his work – or, the understanding of the gematria can be summed up in the two Hebrew letters aleph and tav, that is to say, the beginning and the end).